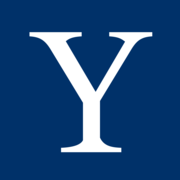 Yale University is one of the world's leading centers of learning and research. Established in 1701, Yale is located in New Haven, Connecticut. Age of Cathedrals via Coursera 9 weeks long 9 weeks long 22nd Apr, 2019 No reviews yet. American Contract Law II via Coursera 5 hours a week , 7 weeks long 5 hours a week , 7 weeks long 23rd Apr, 2019 No reviews yet. American Contract Law I via Coursera 5 hours a week , 7 weeks long 5 hours a week , 7 weeks long 23rd Apr, 2019 No reviews yet. مقدمة عن التفاوض: دليل استراتيجي لتصبح مُفاوضًا ذا مبادئ ومُقنعًا via Coursera 6 hours a week , 9 weeks long 6 hours a week , 9 weeks long 29th Apr, 2019 No reviews yet. Journey Conversations: Weaving Knowledge and Action via Coursera 6 weeks long 6 weeks long 6th May, 2019 No reviews yet. The Worldview of Thomas Berry: The Flourishing of the Earth Community via Coursera 6 weeks long 6 weeks long 6th May, 2019 No reviews yet. 9th Feb, 2015 No reviews yet. Living Cosmology via Coursera 6 weeks long 6 weeks long 8th Oct, 2018 No reviews yet.